Certainly every inventor has some questions in mind about how best to pursue patent protection for their invention idea. We have prepared for you, here, the answers to a number of questions that inventors tend to have in relation to our company, our services, and the patenting process in general. We're always happy to speak with you directly and confidentially to discuss these or any other questions you may have. Contact Patent Services TODAY to explore the potential of your invention idea! Q. What is a patent? The United Stated Patent and Trademark Office defines a patent as "A property right granted by the Government of the United States of America to an inventor "to exclude others from making, using, offering for sale, or selling the invention throughout the United States or importing the invention into the United States" for a limited time in exchange for public disclosure of the invention when the patent is granted." These rights are granted by the US Patent and Trademark Office. The product idea or invention is first reviewed by the patent examiner after which the organization decides on whether or not the product should receive patent protection. Q. Is your company a legal services firm or a law firm? Patent Services is not a law firm or a legal services firm. We are a clearinghouse for a full range of services that inventors need to complete their patent research, preparation and prosecution services. In order to guarantee that inventors receive reliable, unbiased information all research, design, marketing, licensing, and patent protection services are outsourced to colleges and universities, graphic designers, writers, draftsmen, licensing affiliates and registered patent attorneys and patent agents. We do not offer legal counsel or perform legal services ourselves, nor do we hire patent attorneys as staff. Our company is not an attorney owned organization and we ensure that all results delivered to clients are unbiased and generated independently from third parties. It is important to note that only a registered patent attorney can represent an inventor before the examiners of the US Patent and Trademark Office. Q. What counts as intellectual property? Intellectual property can be categorized into three parts that include patent, trademark and copyright, each with its own function. A patent protects the design as well as function of a tangible product. A trademark protects logos of organizations or products (e.g. fast food restaurants, coffee houses or fashion brands). Copyright on the other hand, protects the rights of written content like books, instruction manuals and even poetry. Q. Is there a difference between a design patent and a utility patent? Yes, there is a difference. 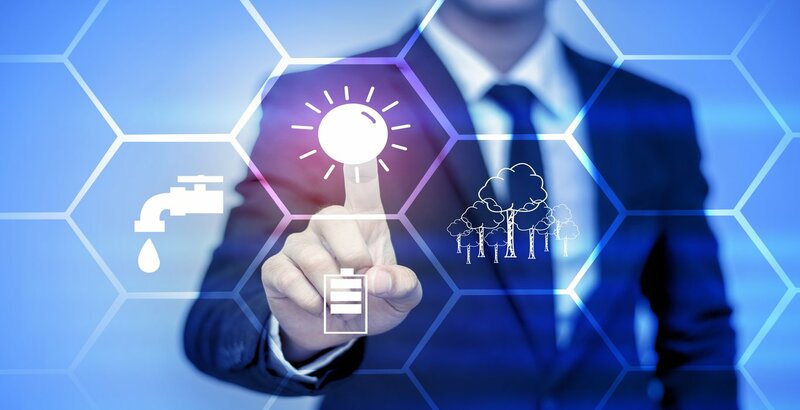 A utility patent is usually granted to an individual, a group or an organization that discovers or invents a new, unique, and useful machine, process, manufacturing article, matter composition or improvements on existing processes. On the other hand, a design patent is awarded to an individual, group or organization when a new, innovative and ornamental design is invented for a manufacturing article. To earn recommendation for a design patent or utility patent, the assistance of a registered independent patent attorney is necessary. Q. Does a patent search grant me a patent? A patent search is performed by a registered patent attorney who will search for artwork and other tangible items to ensure that your designs are unique and patentable. The patent attorney will also provide a legal opinion of your patentability search and advice on whether or not you should continue to pursue the patent. It is important to note than while an independent patent agents can perform the same search, they cannot provide a legal opinion or advice. Q. What does patent pending status mean? A patent pending designation is used by a manufacturer or seller of an article to inform the public that an application for patent on that article is on file in the United States Patent and Trademark Office. This designation may be accomplished either through a provisional patent application filing or thought a non-provisional patent application filing. The provisional patent that allows you to file a patent without making a formal claim, declaration, oath or disclosure of your artwork. This patent establishes a conception date and provides you with protection for one year. This provisional period can be used to develop the idea, study the market and find the financial sources to continue networking and development. This time can also be used to make negotiations in business agreements. The final design or utility patent must be filed before the provisional patent expires. Q. Is there a different between Copyright and Trademark? Yes. Trademarks are generally used to create a unique identity for the services, products or goods through a design, phrase or symbol. A trademark is the distinguishing marker from your competitors. On the other hand, copyright protects original written works in terms of dramatic, literary and musical compositions. Copyrighted content is protected under the Copyright for the author's lifetime and an additional 70 years. Q. Will your company help promote my product idea? We do not offer our services in invention development or marketing services. However, we do have an affiliate licensing agent available to work with you to develop a marketing strategy designed to promote and license your invention to manufacturers. The licensing affiliate work entirely on a contingency fee basis. Q. How will I earn after a manufacturer buys my invention idea? Negotiations with the manufacturers give you several options. A common approach to negotiations includes releasing the product idea to the buyer for a specific price. Through this price, the manufacturer would buy all rights to your product. Additionally, you may negotiate a royalty and earn a pre-fixed percentage from the seller on the total sales. As negotiations and license agreements involve complex legalities, they should be reviewed by a qualified attorney. The independent licensing affiliate will help you through negotiations on a contingency fee basis. Q. Is my idea protected when I share it with Patent Services? Each and every inventor who shares his or her new product idea with Patent Services does so through our confidential submission form. This is done to ensure that every inventor receives our Statement of Non-Disclosure as a part of the idea submission process. Our consultants will not ask questions about or discuss with you any details of your new product idea until this protection is in place guaranteeing the security of your invention idea with us. Q. Can I just sell my invention idea without getting a patent? Everyone would love to think of an idea one day and then simply sell that idea to a large company for a tidy sum the next. An inventor presenting a manufacturer with a new product idea or an innovation on an existing idea is offering that manufacturer a business opportunity to consider. And of course the first thing any manufacturer wants to know is whether you own that product idea that you want the manufacturer to buy. The deed to a home documents ownership rights to real property (or real estate). The title documents to an automobile document ownership rights to a piece of physical property. And, of course, a patent documents your rights of ownership to your intellectual property. Just as a homeowner must transfer the deed to convey ownership rights in the sale of a home, an inventor seeking to sell or license an invention idea to a manufacturer must first have established ownership rights to transfer. Q. Why should I work with Patent Services? 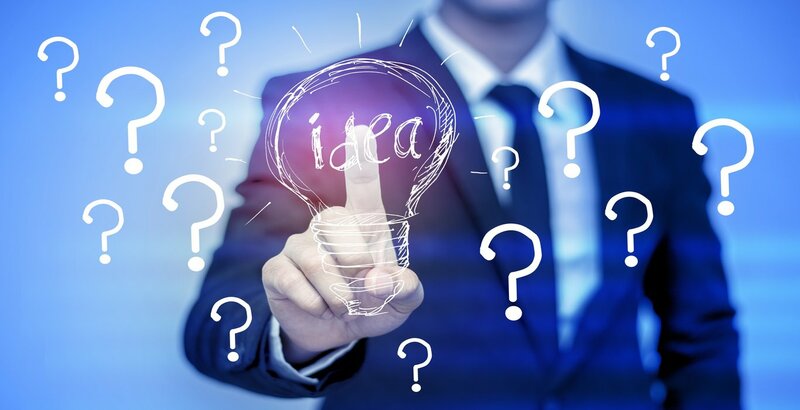 At Patent Services, we recommend that you take the time to examine all of your options in pursuing both patenting and licensing your new product idea. We have established a holistic approach to meeting the needs of clients seeking professional assistance throughout all of the stages of their project. As an inventor you could research, identify, and then seek out each professional service on your own that you need to properly prepare, document, protect and market your invention idea. Most inventors find that they don't have the time or resources to find, interview, negotiate with, and finally manage the work of each of the professionals required. And unfortunately inventors find themselves paying the top billing rate for each of these professionals because they're don't have any negotiating leverage as an individual inventor. Patent Services has established working relationships with the professionals you need to get your project moving. We'll serve as your project manager in getting all of their work completed. And we leverage our purchasing power to negotiate discounted professional service rates with our network of professionals to save you big money on the patent protection of your new idea. Q. How much will my patent cost? The United States Patent and Trademark Office establishes the fee schedule for searches, filings, appeals and other actions relating to intellectual property. Due to the complexities involved in preparing these legal documents, the use of specially trained and educated professionals, such as Registered Patent Attorneys or Registered Patent Agents, is strongly recommended. Professional service fees related to researching and preparing documentation for intellectual property may vary depending upon the efforts required both to prepare and to fully prosecute the work. Q. How does the America Invents Act of 2011 affect me? The America Invents Act of 2011 was signed into law on September 16, 2011. This law takes effect in stages and will be fully implemented on March 16, 2013. The new law changes the basis of the entire United States patent system from a "first to invent" to a "first to file" format. This means that historic methods of documenting the origination and development of an idea may have no bearing whatsoever on the award of a patent. Instead, the first person to file a patent application gets the patent. As such, inventors who delay in filing a patent application run the risk of having another person obtain a patent on an invention, resulting in the loss of any opportunity to secure the rights to an invention they may have developed first. The best way to prevent this from happening is to PREPARE AND FILE THE PATENT APPLICATION AS SOON AS POSSIBLE, and before the invention is exposed to others. Wondering of how to get a patent? Contact our professionals today!